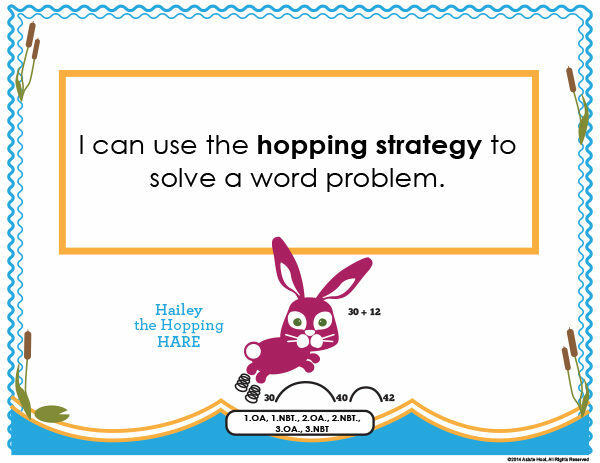 Hailey the Hopping Hare is a strategy animal in the Problem-Solving Pond series. 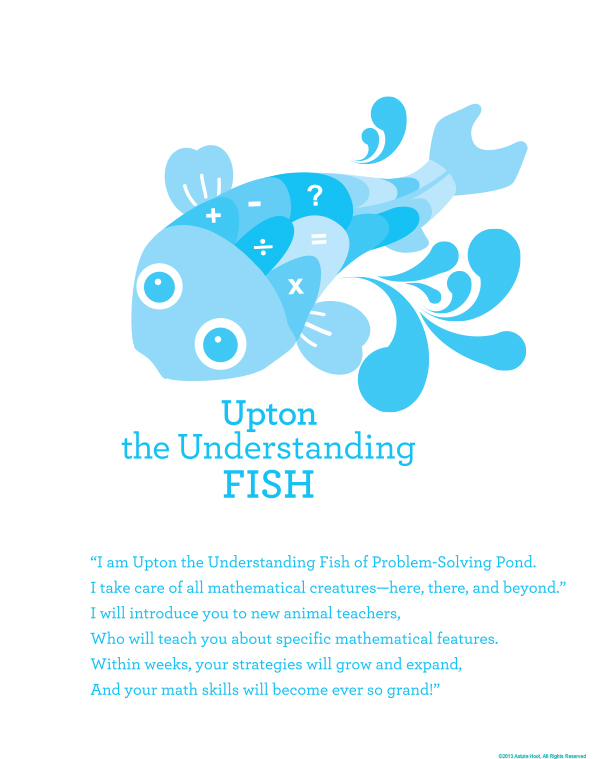 Hailey uses a special rhyming poem and 3 different number lines to teach students how to use the hopping strategy to solve word problems. 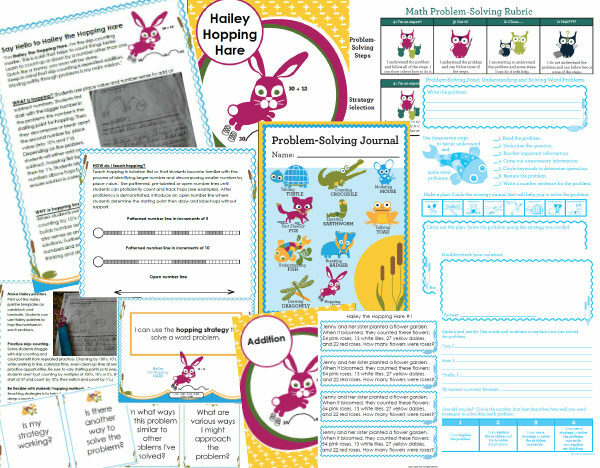 When students use the hopping strategy, they decompose or break apart the second number by place value (into 10’s and 1’s) and add or subtract using a number line. 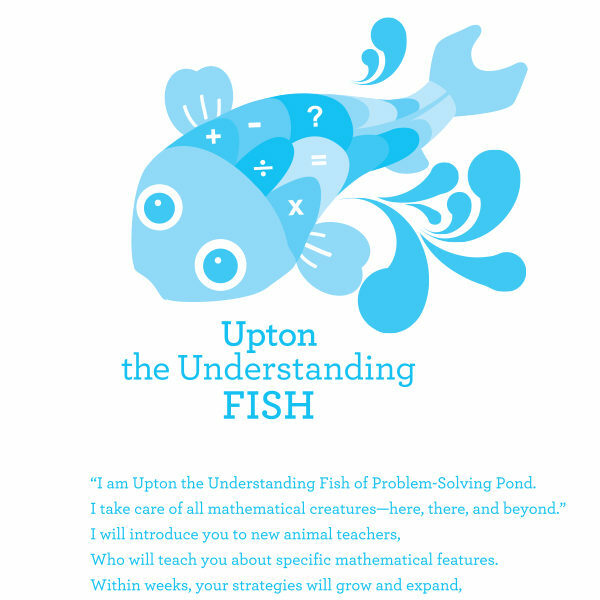 Students label numbers above hops to help ensure solution is correct. When students use the hopping strategy, they are essentially skip counting by 10’s and 1’s. 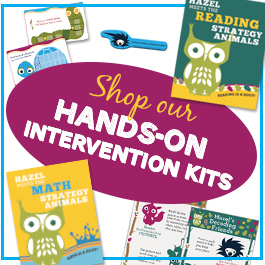 This strengthens mental computation, builds number sense and solidifies foundational place value skills. 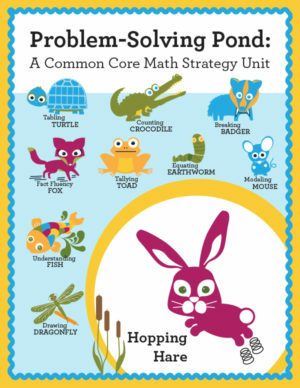 Hopping can easily be extended to larger numbers and multi-step problems because it tracks mathematical thinking and steps taken to complete the problem. 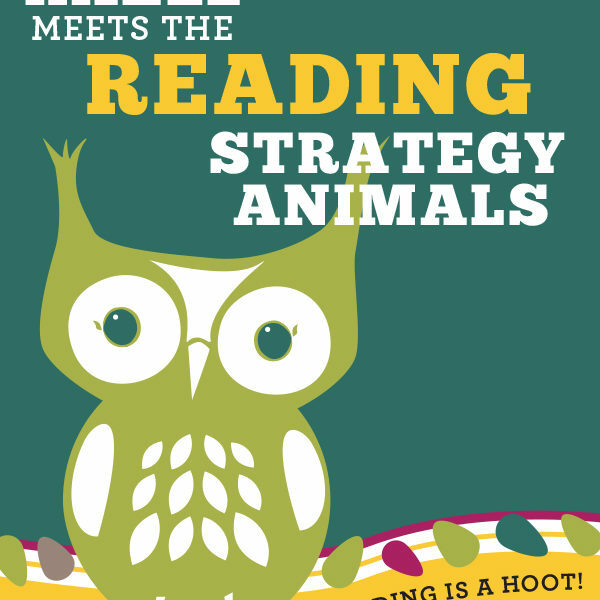 -“Hazel Meets the Math Strategy Animals” book (tells the story of Hazel the screech owl who is introduced to 10 special problem-solving strategy animals at Problem-Solving Pond). 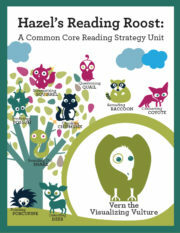 Tagged as astute hoot, common core math, guided math strategies, Hailey Hopping Hare, hopping strategy, intervention, math, problem-solving.